Rates are based on the amount of space your junk takes up in our truck. The rates include full service pickup, cleanup, disposal fees and all taxes. Without actually seeing your junk, it’s difficult to give you an accurate estimate over the phone or online. 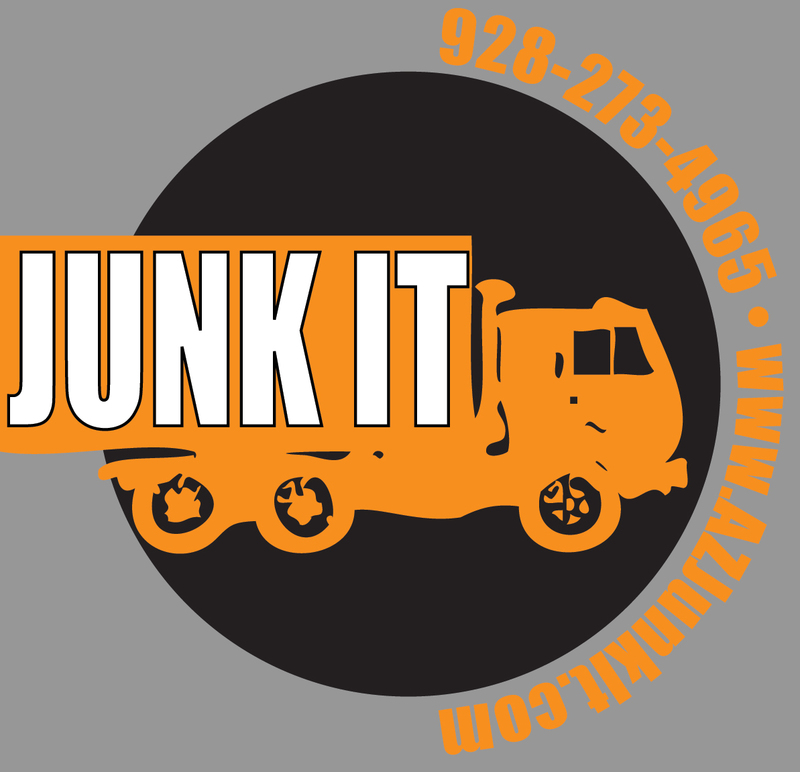 Junk-It will send out a 2 person team and provide you with a no-obligation estimate. If you are satisfied with the quote, our team will begin loading your junk. Your junk can also be located anywhere on your property, whether it be upstairs, in the basement or in your backyard. There is no need for the items to be brought curbside as our 2 man team can remove items from almost anywhere. Everyday Junk are items typically found in and around your home. These items consist of old furniture, appliances, yard wastes, renovation materials, garage clutter, miscellaneous household junk and many other items too large for your local garbage company to take. Commercial Junk are heavy items typically found on residential or commercial construction sites such as brick, concrete, dirt, rock, pavers and mortar. Due to the heavy nature of commerical junk, rates are priced according to 1 foot high in our trucks to ensure safety for the Junk-It crew during transport. Commercial bid jobs are also available. Book It – Schedule an online appointment NOW or call 928-273-4965 to talk to a live Junk It representative. We’ll schedule a time that is convenient for you – even with same day service if available. Quote It – On the day of you appointment, we’ll call you 15 to 30 minutes before your scheduled appointment to let you know the exact time we’ll be arriving. Once our team is on site, you will receive a full estimate of your items before we load to make sure you are 100% satisfied. Commercial bid jobs are available. Junk It – Junk It does all the loading for you. Just point and we’ll do all the work. Once all items are loaded, our team will do a complete clean up of the site. We do ALL the work, so you don’t have to! Who Can Use Junk It?